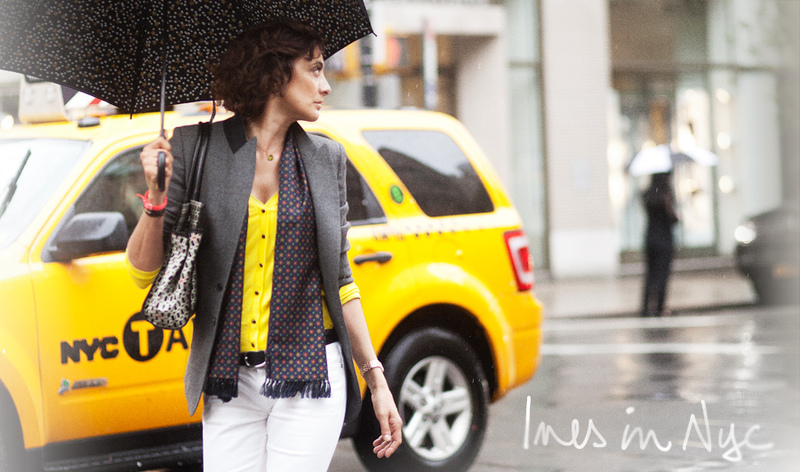 Ines de la Fressange is such a style inspiration. Poise, class and innate sense of coolness. I'm off to the museum to see the McQueen exhibit- finally! Can't wait to take it in at last. she is dressed to perfection, the yellow blouse plus the scarf just take it there. Loving everything about this picture and the outfit. perfection. how was it? if i have time i thought of going too..